How do you govern a hyper-diverse city? A new handbook recommends approaches that promote urban diversity, foster interaction across communities and aim to increase civic participation. A Handbook for Governing Hyper-diverse Cities was published by Divercities, a European Union-funded project. Compiled by more than 60 international researchers, the study is based on interviews in 14 countries with about 140 local initiatives. The handbook is designed to offer insights for city leaders and other policymakers on ways to strengthen social cohesion and social mobility, along with economic prosperity. The authors begin with a simple premise: Diverse cities are an asset. A wide variety of backgrounds, viewpoints and life experiences makes for a dynamic urban society. Diversity awareness: New policies should be crafted with diversity in mind, then vetted for their impact on communities before introduction. Enhance visibility: Authorities can improve awareness of new policies and programmes by partnering with local groups that act as intermediaries with citizens. Bottom-up initiatives: To reach all residents, cities should consider funding programmes that are informal, open and participatory, and may not otherwise qualify for support. The authors caution against one-size-fits-all solutions, warning that these won’t reflect each city’s unique demographic profile. 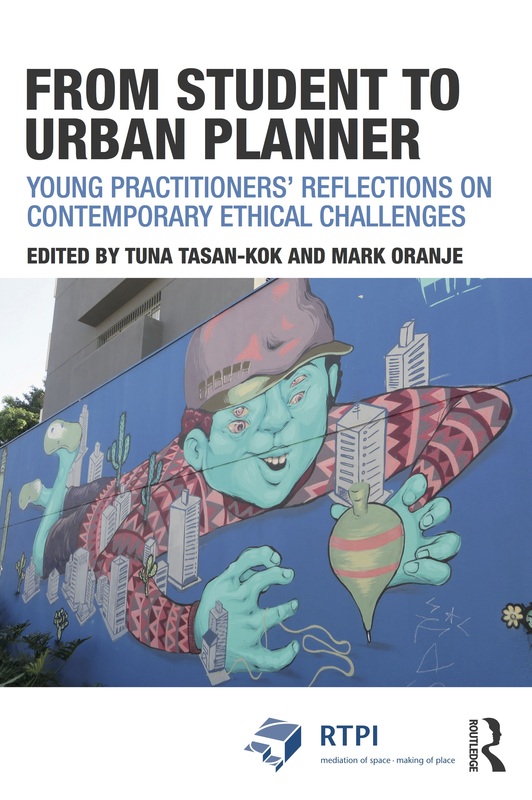 “It is not possible to address the needs of increasingly complex and diverse urban societies with standardized policies and policy instruments,” they write. Warsaw’s libraries initiative: Located in an economically depressed area, the small library includes chairs and couches that encourage visitors to linger and mingle. Rotterdam’s “experimental garden”: The volunteer-run community centre has activities that range from knitting and cooking to sports. Antwerp’s Borgerrio: The multicultural street festival in a diverse neighbourhood is a boon to nearby family-owned shops. Other cities have launched youth-oriented employment programmes. London’s Project 2020 strives to help jobless and uneducated youth in the city’s Haringey neighbourhood, where unemployment is high. Youths are matched with professionals or trade specialists to learn new skills. In Paris, the Neighbourhood Maintenance Corporation (Régie de Quartier) provides entry-level jobs such as cleaning and gardening in underprivileged areas. A key goal is to incentivize local residents to take pride in their community. Leipzig has started an initiative called Godparent Programme for Asylum Seekers. The goals here are to welcome asylum seekers and overcome prejudice by pairing refugees with locals who pledge to serve as godparents for children. Toronto’s Women Moving Forward: Designed to help single-income mothers age 18 to 30, the initiative offers personal and professional mentoring and educational support. Copenhagen’s Pastry Hill Integration House: Located in a former bakery, the programme serves immigrant women and girls in the Bispebjerg district who lack Danish language skills. Istanbul’s Women’s Solidarity Foundation: Intended to empower women, the organization runs workshops that include vocational training. The researchers recommend that cities provide spaces for start-ups, small businesses and training to create greater opportunities for refugees and minorities to achieve economic progress. Funding for such initiatives is critical, but other forms of support, such as expertise and guidance, also are essential. Governing such melting pots, however, isn’t easy. Immigration can stoke tension along religious and ethnic lines. Rumours and stereotypes often proliferate about misunderstood immigrant and minority communities. Resentment can build among isolated populations that may feel marginalized socially and economically. The Brexit vote in the United Kingdom and the ascendency of real-estate mogul Donald Trump to the U. S. presidency were fueled by fervour over immigration and its impact on security and jobs. The handbook defines hyper-diversity as more than just demographics, ethnic identity and socio-economic status. The term also encompasses the wide variance of lifestyles, attitudes and activities that comprise an urban environment, along with gender, race, class, ability and sexual orientation. Learn more about Diversities here, www. urbandivercities.eu.